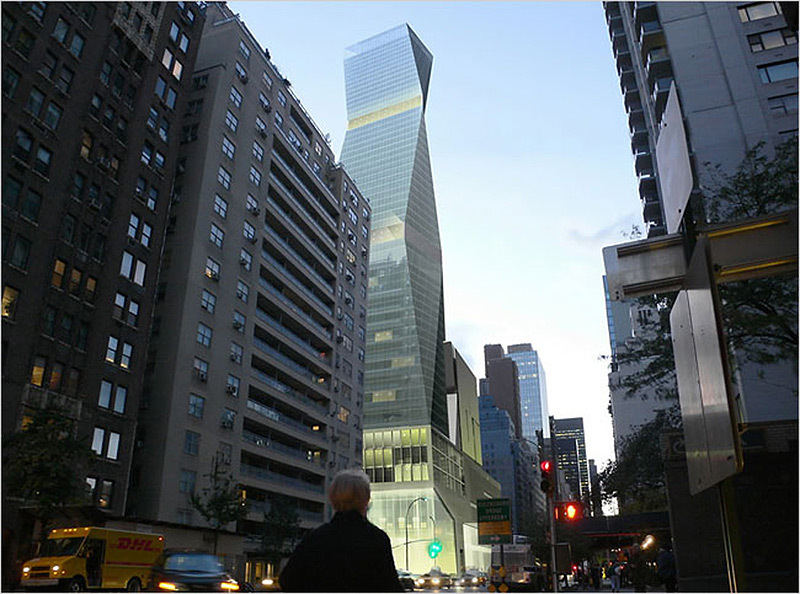 Rendering of 250 East 57th Street by SOM’s Roger Duffy. 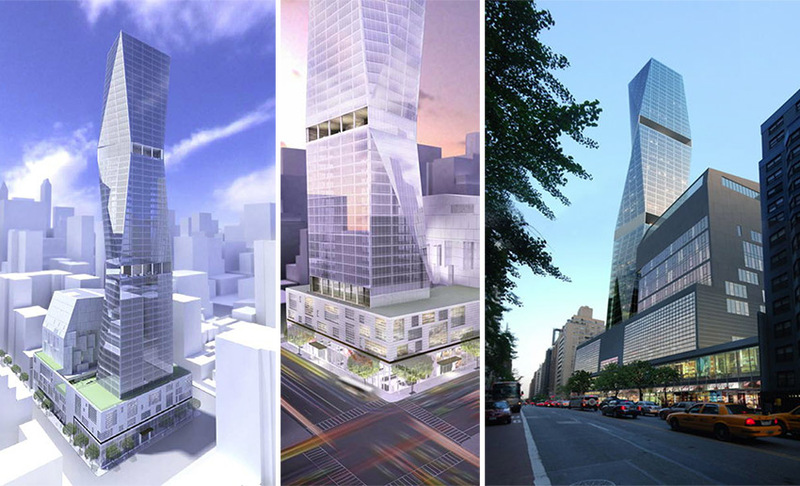 A proposed 57-story residential tower designed by SOM’s Roger Duffy at the corner of Manhattan’s East 57th Street and 2nd Avenue is seeing new life after laying low through the recession. The Observer reported today that the 250 East 57th project, announced in 2006, will begin construction this year now that developer World Wide Group has filed new construction papers with the city and began clearing the site. AN previously reported how the project is a partnership with the New York City School Construction Authority to extract the air-rights value beneath the city’s school properties. In this case, developers of 250 East 57th paid the Department of Education $325 million for a site lease and agreed to rebuild P.S. 59 adjacent to the tower’s site, including roof terraces and a large astroturf play area. Roger Duffy told AN at the time, “A lot of school sites in New York remain underdeveloped in terms of FAR (floor-area ratio).” The school opened in September 2012. 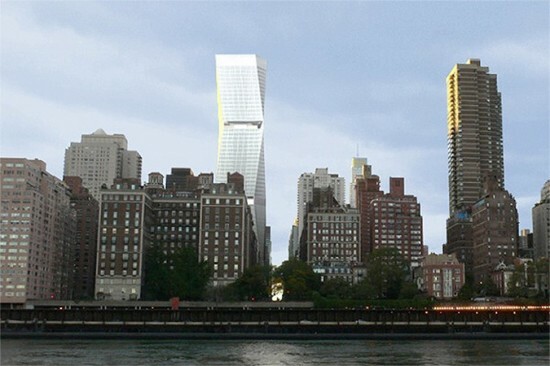 The 715-foot-tall, 270-unit tower is the latest addition to the 57th Street corridor, which has seen many new skyscraper plans unfold in recent years. To the west, Extell’s One57 by Christian de Portzamparc continued construction, and the same developer recently announced that Adrian Smith+Gordon Gill will design a new 1,550-foot-tall tower near Broadway. Additionally, Cetra Ruddy is also designing a skinny skyscraper at 107 West 57th, Rafael Viñoly’s supertall 432 Park tower is under construction, and Bjarke Ingels is moving forward with his plans for a pyramid-shaped tower at the Hudson River. While SOM remains the architects for the project, developers told The Observer that an updated design is in the works, which reportedly sheds the towers crisp angles for a more undulating facade. Roger Duffy previously designed the Toren Tower in Downtown Brooklyn.